“The Scientific Secrets of Doctor Who”, written by Simon Guerrier and Dr. Marek Kukula, was picked by the R.A.D (Reading Across the Disciplines) book club to be the focus of their college hour. Paulo Afonso, who is an Astronomy teacher and has been at American River College since 2010, was the guest speaker at the college hour. Afonso took a scientific approach to explaining certain things about Doctor Who. 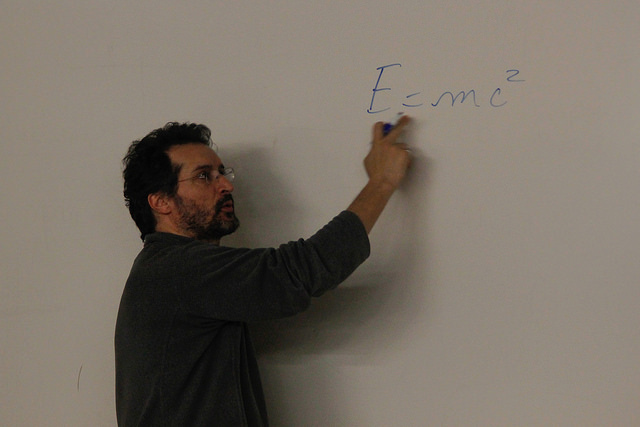 Afonso explained the basic ideas about space, time, and mass and addressed how there could be life in the universe. He also said that Doctor Who continually abuses space and time, goes back in time, and warps time. A video was shown about Laniakea, a galaxy supercluster that is home to the Milky Way. Afonso said that there are not absolute measurements of mass, space, and time. The ARC astronomy club launched a stratospheric balloon in the Mojave desert in June of 2014 and Afonso was the head of the project. A camera was attached to the balloon and footage of the balloon was shown in the presentation. The mission failed, but Afonso said that he planned to keep trying. Afonso suggested to travel to the south, Brazil or Portugal to get great pictures of the galaxy because the earth is curved and space is easier to see. Karen Milam, who works for R.A.D, hoped for a bigger student turnout but said the low attendance could be because Doctor Who is from the BBC, or British Broadcasting Corporation. Doctor Who has been on air for 50 years, and there have been twelve doctors total throughout the series. The doctor is able to regenerate himself into a new person and fans hope for a female doctor in the next season. 1 Comment on "R.A.D book club hosts Doctor Who college hour"
Most of Brazil is in the Southern Hemisphere – where indeed one can see the other half of the sky/celestial sphere. Portugal is in Western Europe, with Lisbon, the capital, located at about the same latitude ***NORTH*** as Sacramento. Big mistake from the journalist here – who should check her facts before writing, namely distinguishing Southern and Northern hemispheres! !